"Dream, think big and believe in your children," MK Dov Lipman tells new immigrants who arrived on Nefesh B'Nefesh flight. 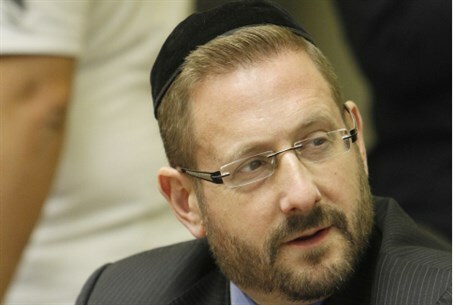 MK Dov Lipman (Yesh Atid) delivered inspiring words to the 231 olim (new immigrants) who landed in Israel on a Nefesh B'Nefesh aliyah flight on Tuesday morning. Lipman himself made aliyah on a Nefesh B'Nefesh flight in 2004. “After 2,000 years of our ancestors wandering from country to country and suffering in nearly every one of them, you have been blessed with the merit of coming back home. And yes, this is your home in every sense of the word,” said Lipman. “The Sages teach us that the Land of Israel is one of the three things which are acquired with great difficulties, but once you know that these challenges lie ahead, you can cope and overcome those challenges while seeing the wonders and the beauty of living in the Land of Israel all around you,” he added.